The Cervélo TestTeam is preparing for the 2010 season with a training camp in Faro, on the south coast of Portugal. Success in 2009 was achieved both on and off the bike as the men's and women's teams performed beyond expectations throughout the season. The men brought home 25 trophies while the women scored 43 victories, finishing first in the UCI standings. Going into the team's second season, new General Manager Joop Alberda has set an even higher goal for the squad. 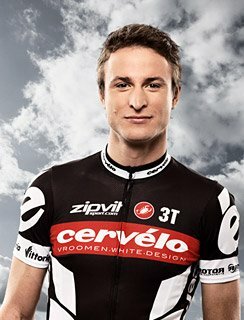 "We want Cervélo TestTeam to become the new standard in cycling," said Alberda. "What happened on the team last year was amazing. The standard they set is already pretty high. It will be up to the cyclists to challenge themselves. We will be there to help them." The men's team will begin their season on February 3rd at the Etoile de Bességes in southern France, the first stage race of the European season, which runs until February 7th. The eight rider sprinter squad will be led by Tour de France Green Jersey winner Thor Hushovd, with Canadian team member Dominique Rollin also making his season debut. "The hardest in training camp isn't to do the hours or stay away from the buffet. IT's to survive the local virus .... damn, three days in bed for a stomach bug. At least If I wasn't lean enough that might had done it." 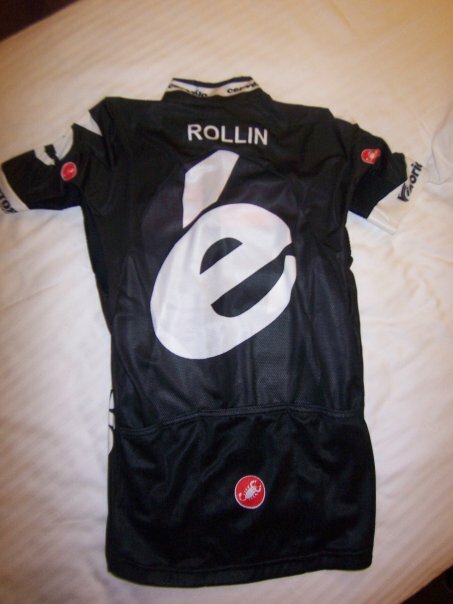 He also posted an image of the new team jersey.